Southern Shores police say at least two homes listed as long-term rentals on www.housesforrent.com recently turned out to be frauds. The site, police say, may be linked to a scam to fraudulently obtain security deposit funds. While the website itself may be legitimate, some of the houses for rent were not. 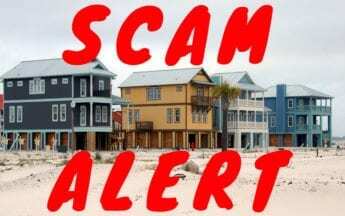 Scammers are taking real listings of properties for rent or sale and cloning them into fake advertisements, he said. “Some clues to look for when you are searching online for rentals are monthly payments well below the current average, no lease being required, and payments are requested to be made via gift cards, Moneygram or wire transfer through a retail establishment and not a financial institution,” the chief said. Anyone seeking a long-term rental is encouraged to visit the property in person and do your due diligence before sending any down payment. “Remember, if it sounds too good to be true, it usually is,” Kole said. Arn’t all these rentals a scam, really?